Indian weddings make up part of the local wedding scene here in southeastern Virginia, so earlier this year, we learned all about Indian wedding traditions and even about personalizing American wedding traditions. So today, we have the fabulous expert herself (and best bunny mom there ever was), Preeti Moberg of The Big Fat Indian Wedding, doing the ultimate mashup of those two as she shares how brides and grooms can personalize beautiful South Asian traditions for their own special days. Indian weddings are known for their display of bright colors and intimate religious functions. While they seem vastly different from the sweet, but standard white dress ceremony, Indian weddings can be a challenge unto themselves. After all, if you're getting married in a traditional Indian setting, you might find yourself donning the expected red saree or lehenga and listening to the ancient prayers and vedas. While red is the traditional choice for an Indian bride, representing honor and love, it isn't the only color that the star of the show would look stunning in. Indian lehengas and sarees come in all shades of every color - from dazzling golds to deep purples. Pick a color that represents you, complements your skin tone, and suits your wedding style. You'll add your personal flair to your look, while still donning traditional Indian attire. Indian weddings often feature flower arrangements of roses, marigolds, and orchids. However, there's no reason why your favorite lilies or carnations can't make it to your bouquet or table display. Personalize your decor by choosing flowers that match your theme and color scheme. Carnations are a great choice since they come in a variety of colors - and peonies are popular wedding picks. Since the mandap and other decorations are probably utilizing Indian motifs, flowers are a simple way to infuse your style into your wedding while still keeping the decor traditional. Indian bangles, or thin bracelets made out of metals or wood, are worn in dozens by women adorning outfits from anarkhalis to sarees. Since they come in every color imaginable and cost less than 50 rupees a pack (if you buy them in India), they are a cheap and easy way to add some fun style to your wedding. Let your female guests go crazy mixing and matching their favorite colors and designs for their own personal looks. Your bangle bar will be the talk of the wedding season, representing your taste for jewelry while making good use of Indian trinkets. Indian food doesn't just consist of a few meaty curries and tandoor-grilled flatbreads. The wide range of Indian food represents flavors and cultures from the whole country, from the tender meats of the north to the simmered lentils of the south. Express your personal taste in the category where taste matters the most by selecting your favorite dishes to offer your guests. Recent experiments in Indian food have led to delicious fusion options as well – such as Indo-Chinese. Whether you're offering a buffet or a sit-down meal, let your palette take the lead so you and your guests can enjoy a wedding reception that's truly "you." Even if you're using traditional Indian motifs to decorate your wedding venue, guest books and table centerpieces are an excellent opportunity to showcase yours and your spouse's personalities. If you enjoy traveling, consider having a globe-themed guest book that your guests can write messages in. Consider taking it an additional step and organize each table so the centerpiece represents a city or country from your travels. Think about what hobbies and favorites you want your guests to know about you (especially if it's a large wedding) and engage in DIY projects accordingly. Consult Pinterest, ask your wedding planner to help, or grab some friends and design the small personal flairs in wedding details yourself. The guests will appreciate these details and take note of how much effort you put into the party. Although you'll probably be getting married by an official priest and listening to ancient Hindu vedas that bind you in holy matrimony, you and your spouse can still share your personal thoughts with each other. Whether you share them privately before the ceremony, make space for the reading of the vows before the Hindu rituals, or read them aloud at the wedding reception, you can find time to express your personalized love to each other. With so much color, tradition, and excitement, Indian weddings does leave some room to personalize to your own tastes - while still maintaining the respectful allure of the age-old customs. 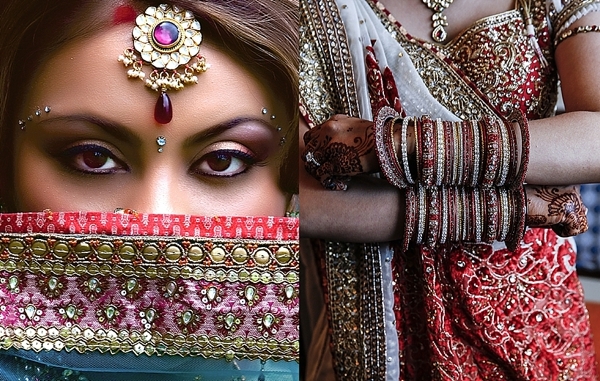 Want to get more daily South Asian wedding inspiration? 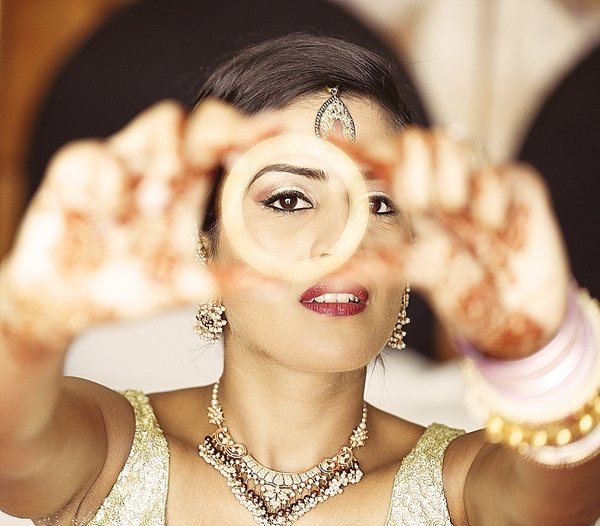 Get to know Preeti and The Big Fat Indian Wedding over on Facebook, Twitter, and Instagram! All photos by Keith Cephus Photography. To see more of his Hampton Roads Indian weddings, head on over to his website.